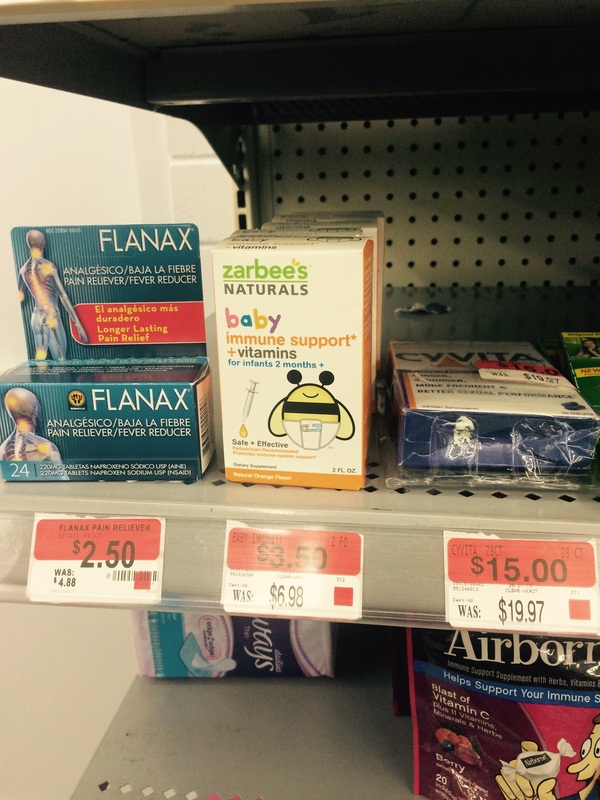 Great deal on Zarabee’s Infant Vitamins at Walmart! For any of you who hosted or attended a Seventh Generation Healthy Baby Home Party, time to bust out those Zarabees Coupons. I spotted on clearance the Infant Vitamins Plus Immune Support for $3.50. Coupled with the $2.00 off coupon from the party that will bring your cost down to $1.50! That’s easily a savings of $5.50 off retail, maybe more depending on where you shop. I know lots of insurances and pharmacies will give you Polyvisol for free but lets be honest…take one good whiff of that and you’ll see why I don’t waste my time. My daughter has spit that out on me enough to know that I either find a tastier alternative or hide it in her food and pray she eats it all.